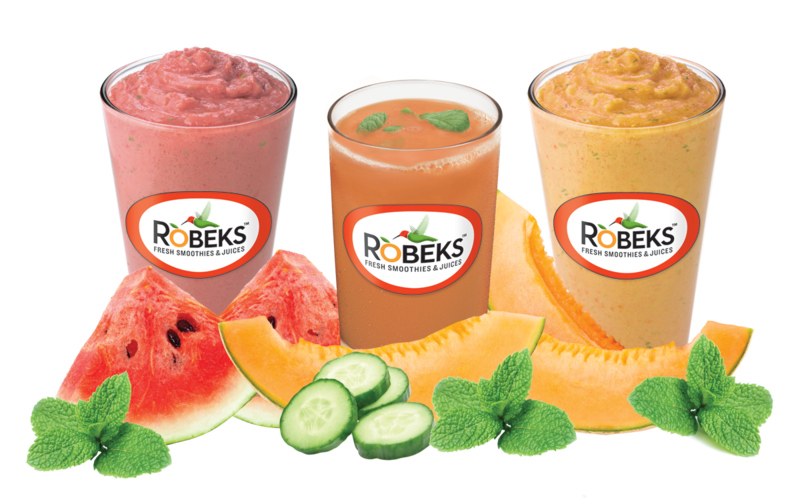 Robeks is a fresh juice and smoothies franchise with 10 locations in Connecticut. I was excited to learn that for their new seasonal menu items they are sourcing melon and mint (as much as they can) from local farms. The three new menu items, available until September 28th include two raw smoothies and a fresh-squeezed raw juice. Cantaloupe Cooler features fresh cantaloupe and fresh mint with pineapple chunks, 100% natural orange and pineapple sherbet, and a splash of apple juice. Wailea Watermelon is made with fresh watermelon and fresh mint, ripe strawberries, pineapple chunks, 100% natural raspberry and pineapple sherbet, and a splash of apple juice. Mojito Melon is made with three raw fruits — seedless watermelon, cantaloupe, cucumber and chopped fresh mint leaves. Admittedly I've never been to Robeks - most locations are a bit of a drive for from Danbury. However, Renato and I were just talking to a client who said at least once a week he drives 40 minutes there and back just to grab a Robek's smoothie. 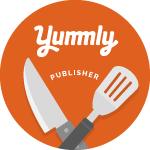 Click here for a listing of their locations. For a larger operation I like that Robek's is making an effort to source items, even if it's just a little bit, locally. We plan to check them out next time we're in lower Fairfield County.